Michael Avenatti, the attorney who fought Donald Trump on behalf of adult star Stormy Daniels, is now working on behalf of another individual who believes he was wronged by a right-wing media personality. This time, it’s Jacob Wohl at the defendant’s table, and he’ll be facing an accusation that his unauthorized use of another man’s photo has negatively affected that man’s life. Avenatti says he’s expecting charges to be filed against Wohl as well, and he’s cooperating with police, apparently on the accusation that Wohl filed a false report when he claimed he was the recipient of a death threat. That message is featured in a documentary Wohl was filming while attempting to paint Representative Ilhan Omar in a negative light. In the documentary, the sender’s name can be seen: Drake Holmes. Unfortunately for Wohl, at about the same time, he was banned from Twitter for making fake accounts, according to The Daily Beast — and Drake Holmes was one of those accounts. Thus, it appears that Jacob Wohl reported to the police a death threat — sent to him by an account he made himself. Of course, to make a fake account look authentic, it needs not only a bio (Drake Holmes’ bio painted him as a Diversity Coordinator) but a picture. However, it seems the creator of Drake’s account did not pull a stock photo or use a headshot of his pet, but instead, nabbed a photo from the Instagram account of an individual who had no knowledge of this activity. Aaron Delgado, a realtor, tells NBC reporter Ben Collins he’s not a close follower of politics and didn’t know who Jacob Wohl was until his own photo showed up on the news. 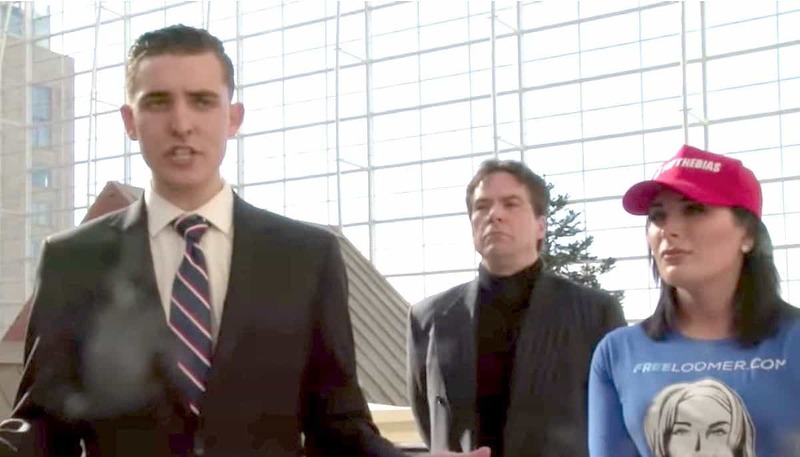 I can confirm that we are cooperating with the Minneapolis police investigation into the bogus death threats made by Jacob Wohl using the picture of our client @realDelgadoA. We expect charges to be filed against Jacob at a minimum. In addition to being investigated for the fabricated police report regarding @realDelgadoA, and the bogus allegations against Mueller and me, I can now confirm that Jacob Wohl is also presently under investigation for multiple criminal firearm violations.